Do our kids have healthy activities to occupy their time: will they have jobs, be at camp, taking classes or enrolled in any programs? What parameters have we placed on daily activities, both during the day and at night? Have we set curfews? Do our kids have their own cars or access to Uber or Lyft? Do we have clear rules about cell phone use and can we reach our kids if we need them? Are there rules about responding to calls and messages from us? Do we know their friends and who they will be hanging out with? Are our kids hanging out in our fields and woods (e.g., Ginn, Manchester, Leonard, the Fells)? Do we know the parents of these friends and if the parents are at home when our kids are over? 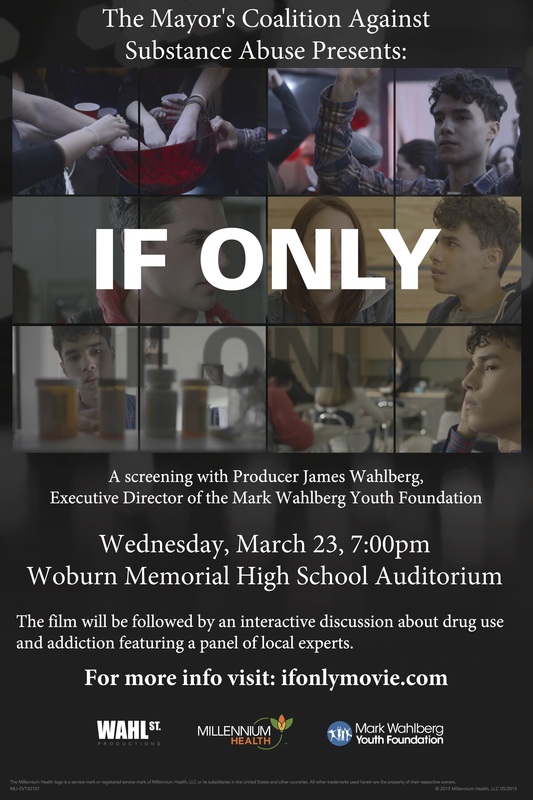 Do their friends’ parents share the same parenting philosophy regarding underage drinking and smoking/vaping? Do we fully understand what vaping is? Do we know the risks associated with vaping? What’s in the backpacks? Do they need a backpack during the summer? What’s in our liquor cabinets and “beer fridges” and should we monitor quantities so that we know if something is missing? What’s in our medicine cabinets? Do we have our prescription medication safeguarded? Summer is a great time for our kids to relax and enjoy a break from the stress of the school year. 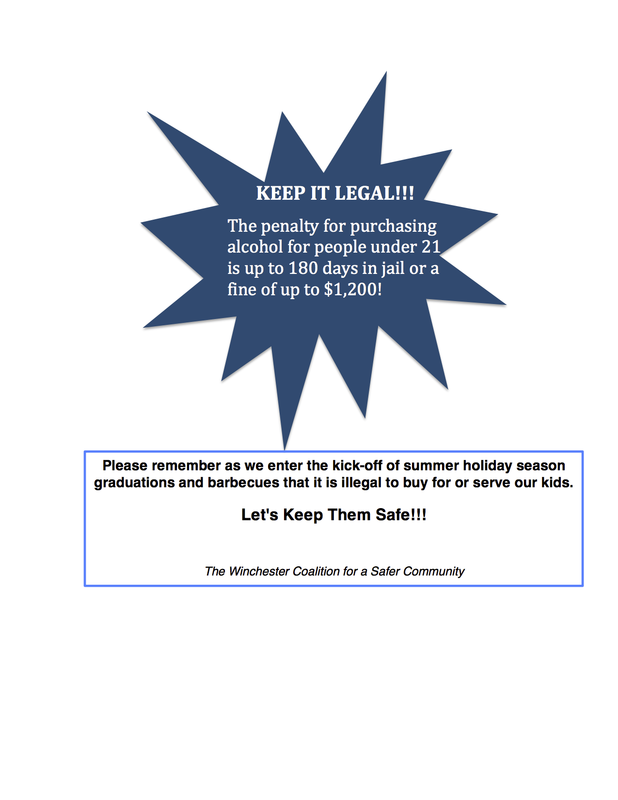 Let’s help them have a happy and healthy summer! This entry was posted in Uncategorized on June 26, 2017 by msullivan. This entry was posted in Uncategorized on May 15, 2017 by msullivan. This entry was posted in Uncategorized on March 9, 2017 by msullivan. This entry was posted in Uncategorized on March 7, 2017 by msullivan. This entry was posted in Uncategorized on February 9, 2016 by msullivan. The Coalition is pleased to announce the launch of its new Coalition Community app: “01890,” available to download for FREE through the iTunes app store and the Google Play store. 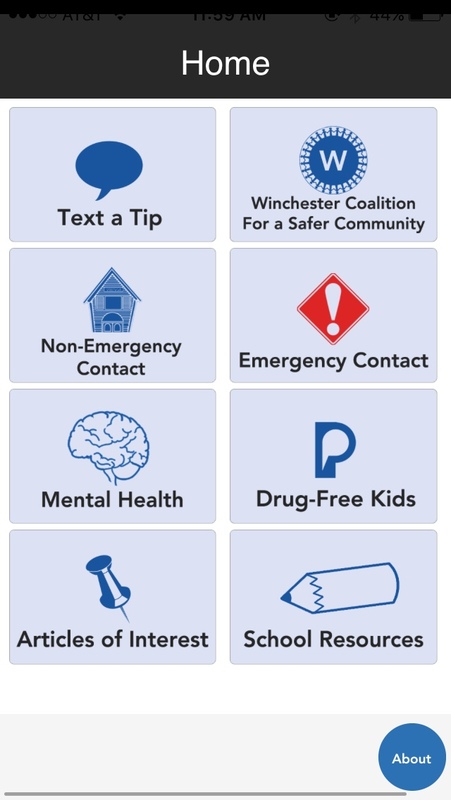 This app provides access to the town’s anonymous Text Tip Line (managed by the Winchester Police Department) and to important community resources, including emergency contacts, hotlines, Winchester Public School information, mental and emotional health resources, as well as Coalition information. Users can dial directly from the app or access websites of Winchester schools and other key organizations. The app was developed to serve the Winchester community by Rosanna Zhang and Qiuyue Liu, current seniors at Winchester High School. This entry was posted in Uncategorized on December 5, 2015 by msullivan.